I recently reviewed Super Meat Boy, which had been released a couple years prior. It was one of the three games featured in the documentary Indie Game: The Movie, along with Braid and Fez. 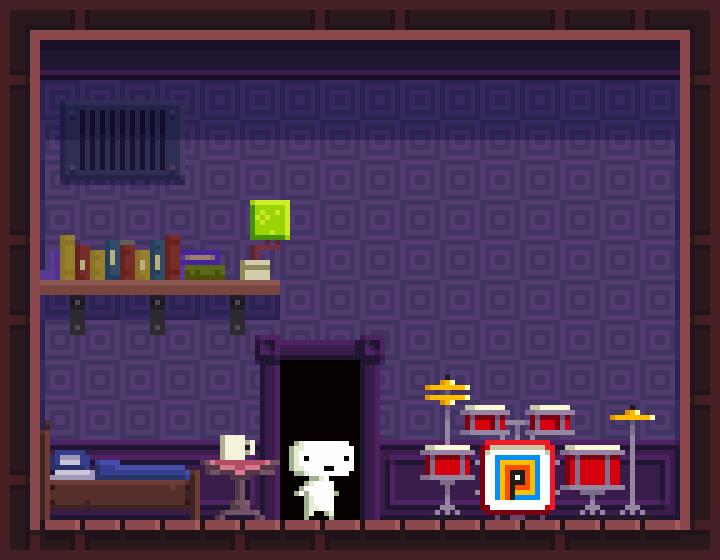 While I purchased Fez on release day, and spent a few consecutive evenings with it, I gave up on it pretty quickly. I came to realize after watching the film, that I might have missed something, and decided to give it another shot. 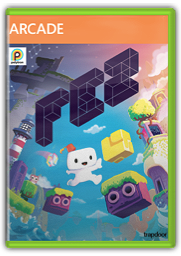 Sure enough, there is a lot more to Fez than beautiful 3D pixel art and basic platforming. What I failed to see at first, is the very thing that will sell the game for some, and make others throw in the towel. The main focus of Fez is to collect cubes while traversing through gorgeous pixel art landscapes, that can be rotated on the y-axis to reveal four different sides. Just when you’ve climbed to the top of a vine and feel stuck, a quick tap of the right or left trigger will rotate the world 90 degrees, exposing new paths that were otherwise hidden. I assumed this was all Fez had to offer, and I was fine throwing my money at it for that. 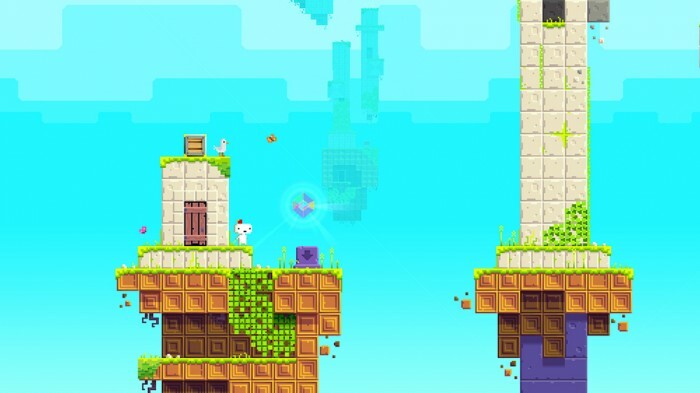 Platforming puzzles seem like child’s play, when you see what Fez truly has to offer. Early on, you’ll start seeing symbols and shapes on statues, in paintings, on chalkboards in classrooms, etc. But it will take a while to put the pieces together and uncover what they really mean. Essentially, Fez has its own language. And while you could certainly decode it yourself, others have provided some nice reference charts that are easily obtained from message boards and FAQ sites. I took the easy route, and let someone else do the leg work, while I focused on deciphering. And even though I didn’t exactly figure them out on my own, there was still a nice sense of accomplishment and appreciation that accompanied the discovery of each of the anti-cubes. The following video shows where to find the area which explains the language, which is absolutely brilliant. I mentioned earlier that the goal of Fez is collect cubes; these cubes unlock doors in the main hub, which unlock other areas to be explored. You need 32 cubes to access the ending, but they don’t have to be all golden cubes. You can also use anti-cubes, which are blue cubes obtained by solving the game’s many puzzles. When I first completed the game, I thought that perhaps I should have waited and collected all of the cubes, but quickly realized that would have been impossible. 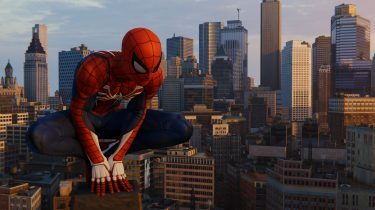 Completing the game grants the player a new ability that is absolutely necessary for solving some of the more difficult puzzles. Once you complete Fez, you can jump right back into the world and pick up where you left off, so don’t worry about having to start over. 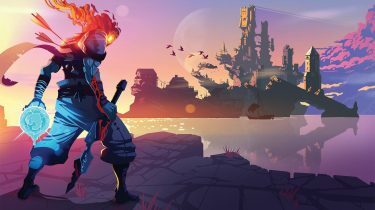 For having been in development for over five years, you’d expect Fez to be polished to the max, but sadly that’s not the case. It has some serious performance issues which impede the gameplay in some areas. 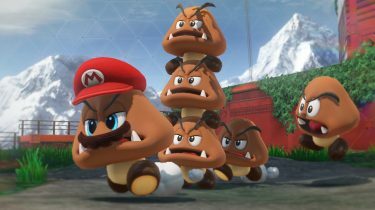 The game will often sputter and chug while loading new areas, and there are quite few spots where the frame rate drops significantly. 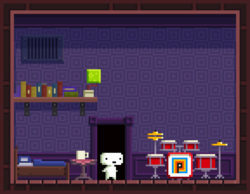 After watching Indie Game: The Movie, my appreciation for Fez was through the roof. But it wasn’t until I discovered the layer beneath the core game that I was truly blown away. I’m not sure if it’s genius, or madness, or maybe a bit of both. In any case, Fez has brought something to the table that I’ve never seen before in a video game, and it truly is something special.